Easter is here and with it the bombardment of chocolates and commercialism that threatens to take over any meaningful celebration. If you are looking for some Christian Easter activities and traditions that help make Easter a Christ-centred affair, take a look at this post or for Jesus trees, Lent ideas and other Christian Easter activities see here and lastly, my Pinterest board with some more activities is here. Our Easter space with books and objects that help direct our attention to the real meaning of this season. 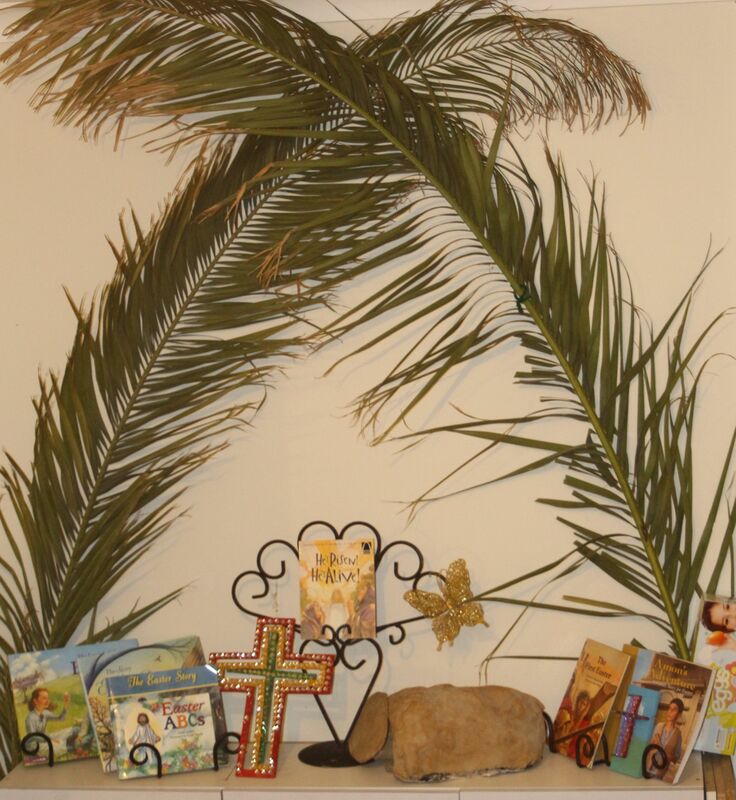 We used palm branches to act out the story of Jesus’ entry into Jerusalem. The kids threw down blankets as cloaks as well as the branches and made crowd noises to help tell the story. It was a little chaotic but lots of fun. 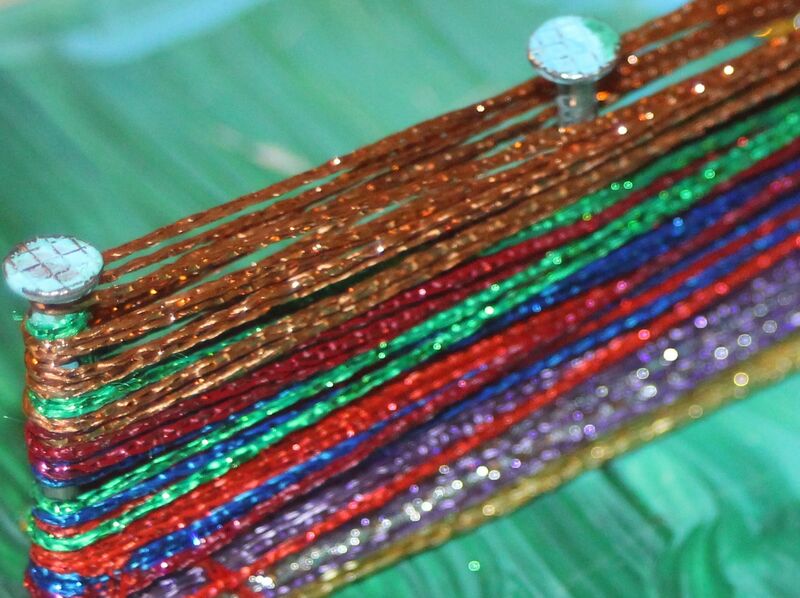 An up close view of our string crosses that we made this year. (Original idea and instructions here.) As we hammered the nails into the wood blocks we talked about Jesus being nailed to the cross and what that must have felt like, comparing the size of our nails with the nails that would have been used to pierce Jesus. My oldest son’s comment was “Children’s bibles always make the cross seem so pretty!” It doesn’t hurt our kids to get a better picture of what the events surrounding Easter were really all about. Giving them some understanding of what our sin really cost is so important, especially for those who grow up so saturated in bible stories that they grow immune to the importance and reality of it all.